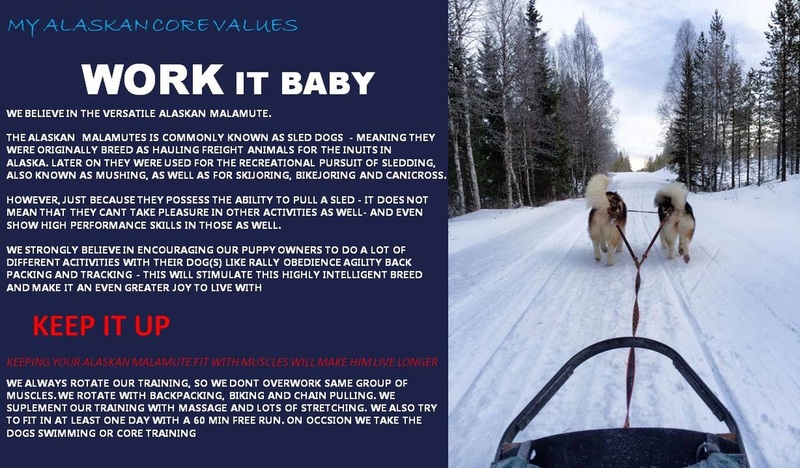 Our mission is to produce Alaskan Malamutes of Excellence who exhibit beautiful breed type; who are physically sound and possess exceptional temperaments; who are capable of excelling in working, performance and conformation events; and to place these Alaskan Malamutes in select homes where they will become cherished members of the active family. 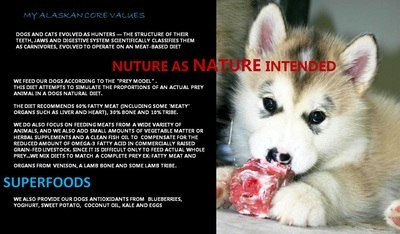 Our goals are designed to preserve and protect the purebred Alaskan Malamute for future generations to enjoy. For us the Alaskan Malamute is the complete package of a powerful, athletic, beautiful dog capable of performing his duties in unforgiving weather and terrain. We do not produce a lot of litters, so when we do, every effort goes into each litter we plan to ensure the best possible outcome for the dam and her puppies. 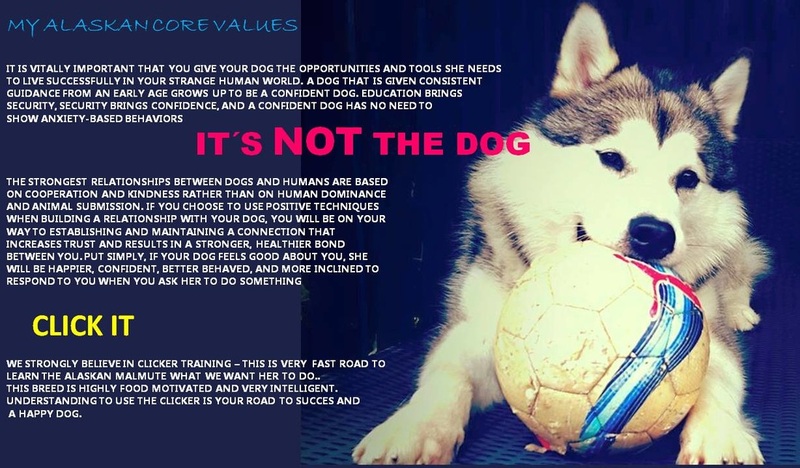 We strive for constant improvement from one generation to the next and feel very strongly about breeding the whole dog, that is, to take into consideration all facets of what makes an Alaskan Malamute correct, and to not focus on simply one trait (i.e. size, colour etc...). We firmly believe that if you breed, you must show in conformation. Obtaining performance and championship titles allows us the opportunity to present our malamutes to the dog fancy, to measure them against the breed standard and thus validate our breeding efforts. We are as breeders still young (our 6th litter is planned in 2015 since 2008). We are active in conformation dog shows and we enjoy many hours working the dogs in all aspects. With limited breeding, we have produced a number of Champions, Working Group placers andh Best In Specialty and All-Breed Show winners at every level from puppy through to adult. As we speak many of the dogs we have produced are working hard to obtain titles in dogsledding, backpacking, WeightPulling, Rally Obedience, Agility, etc. We are members in good standing of the Danish Polar Breed Club, The Daish Kennel Club and the Alaskan Malamute Club of America and Camilla currently sits on the Board of Breed Management in the Danish Polar Breed Club. Besides being active with the dogs - we are also firm believers that education our selves on the breed, is a long life dedication and a very important part of being af serious breeder. 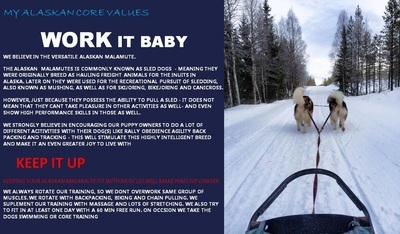 Being out on the trail is simply not enough - reading books, studying pedigrees, networking with old time breeders and also being part of the yearly weeklong National at the Alaskan Malamute Club of America is equally important. Our responsibility extends to each and every puppy we produce to endure that they will live happy, healthy lives and that they will be cared for and loved by the owners we select for them. We take great care in selecting only the best homes for our puppies. Our responsibility extends to our potential puppy buyer families, as well, in that we must ensure that a malamute will fit their lifestyle. 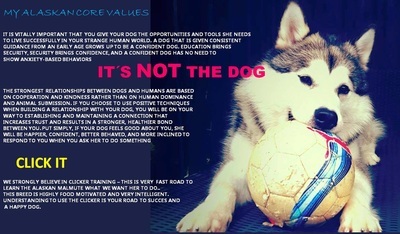 We will not hesitate to steer people towards another breed if we feel that the Alaskan Malamute is not the ideal choice for their situation. As passionate, conscientious and integrous purebred dog breeders, we are committed to each puppy we bring into this world for it's lifetime and will always be prepared to accept it back into our home, regardless of the reason. We do not take our responsibility as breeders lightly. 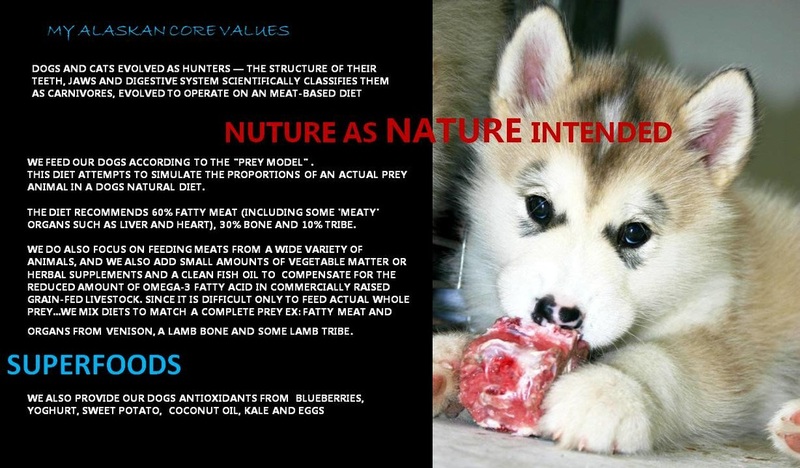 Our puppies and our puppy buyers are dependent on our integrity and our willingness to continue learning and sharing. As husband and wife, we are fortunate to share a passion for this breed that continues to fuel a lifelong commitment revolving around the purebred Alaskan Malamute.